Objective: The aim of this tool is to give a general overview and perspective on the magnitude, positioning, strengths, competitiveness and performance of a country’s industrial sector. 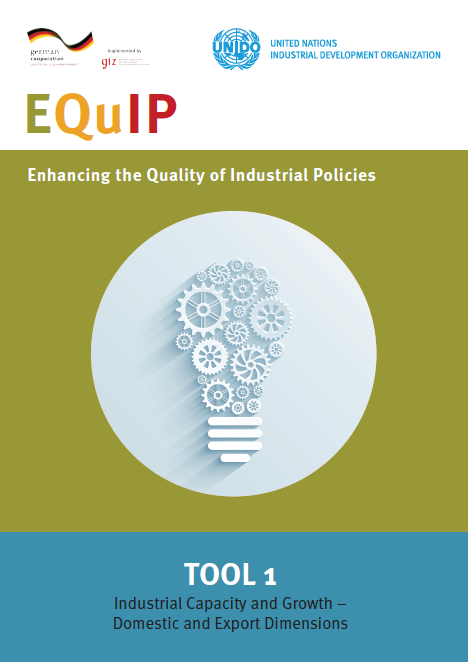 It outlines how an analysis of a country’s industrial capacity and growth can look like. It covers both domestic and export dimensions, thereby recognizing the capacity to produce and the capacity to export as key ingredients for economic growth and industrial competitiveness. Where does a country stand with regard to the level of industrialisation of its economy? How has this changed over a certain period of time in the past? Is the country moving from an agrarian state to an industrial one? What can be said about its capacity to produce and export manufactures competitively – and how can this be improved? How does its capacity and growth performance compare to peer or benchmark countries? What is the potential for industry’s future growth? What is the importance and impact of our country’s industrial sector in the global arena? Is it a small or a large global (or regional) player? Download the Tool as PDF.